Give your students the effective instruction of master teachers with ProTeach! These engaging videos, built on a solid Christian worldview, will guide your students through a deeper study of God’s creation. Your students’ excitement for science will grow as they learn to identify a bird by its song and as they watch the germination of a seed. Their study of living things this year—from amoebas and bugs to blue whales and dinosaurs—will reveal to them God’s great design and wisdom. 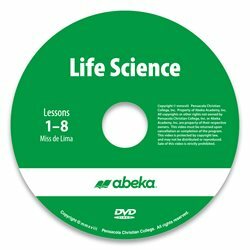 With this monthly DVD rental, our master teacher will introduce your class to new aspects of our wonderful world while building on their previous knowledge. As your students become acquainted with the students on the videos, they will feel as though they are a part of the class—the master teacher will even pause to give “students watching” a turn to participate. While enjoying fun and engaging lessons with ProTeach, your students will have the benefit of your guidance in the classroom as you administer quizzes and tests and check their daily work.